Tottergill Farm01228 670615work01228 670727fax Self-cateringThe award-winning Tottergill Farm boasts a gorgeous range of 10 exclusive holiday cottages in the tranquil Cumbrian countryside. 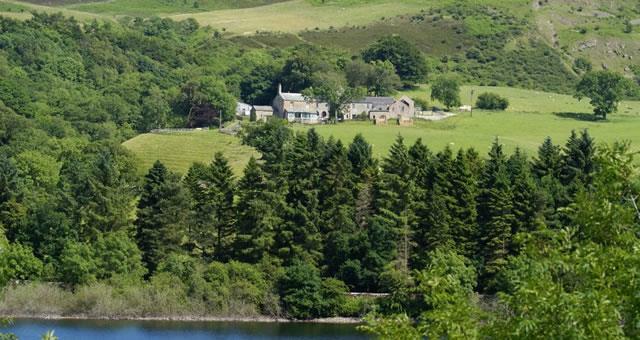 Set on a private 46 acre estate overlooking the breathtaking Lake District and Scottish hills, the surrounding countryside is the definition of serenity. All the character cottages are beautifully styled and offer: cosy wood-burning stoves, pretty private gardens, relaxing hot tubs and glorious views and all come with lots of thoughtful little touches such as: home made cake when you arrive, fresh flowers and lovely Cumbrian coffee. Tottergill Farm is in the perfect location to explore the natural beauty of the Lake District and Hadrian's Wall country. Tottergill Farm offers weekly bookings starting on any day. Ground floor en suite bedroom. Pets (max 2) welcome in this cottage. £25 per pet. All utilities, logs for wood burner, bed linen and towels included. Complimentary leisure club membership at local hotel. Pets welcome. Other short breaks are available. 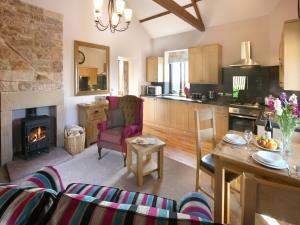 Ash Cottage offers weekly bookings starting on any day. 2 Bedrooms. 1 Double. 1 Single. 1 Shower room. Pet friendly cottage. £25 per pet. Arrival time: from 3:30pm A 25% deposit is required to secure your booking. Credit card payments can now be taken with us directly. Dogs are allowed in Gill Cottage at an additional charge of £20. Gill Cottage offers weekly bookings starting on any day. Great and beautiful location. Tracey and Barnaby are friendly and helpful people. Well run with great facilities. We booked to go back before we'd even left! The award-winning Tottergill Farm boasts a gorgeous range of 10 exclusive holiday cottages in the tranquil Cumbrian countryside. With a selection of country walks including a traditional village pub just one mile from your front door and the chance to enjoy complimentary leisure club access at a local hotel, Tottergill Farm is the perfect base for your next Cumbrian adventure. Complimentary use of leisure club at a local hotel with swimming pool, sauna, jacuzzi, steam room, gym etc. Children welcome from any age. Exit the M6 at jct 43 for the A69 for Newcastle. From Brampton bypass follow signs for Castle Carrock, 4 miles south of Brampton. All cottages have between 1 and 5 steps (except Watson). Some cottages have lever tap handles and separate showers please discusss requirements priort to booking.